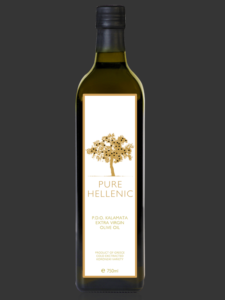 PDO Kalamata Olive Oil - Pure Hellenic Foods S.A. 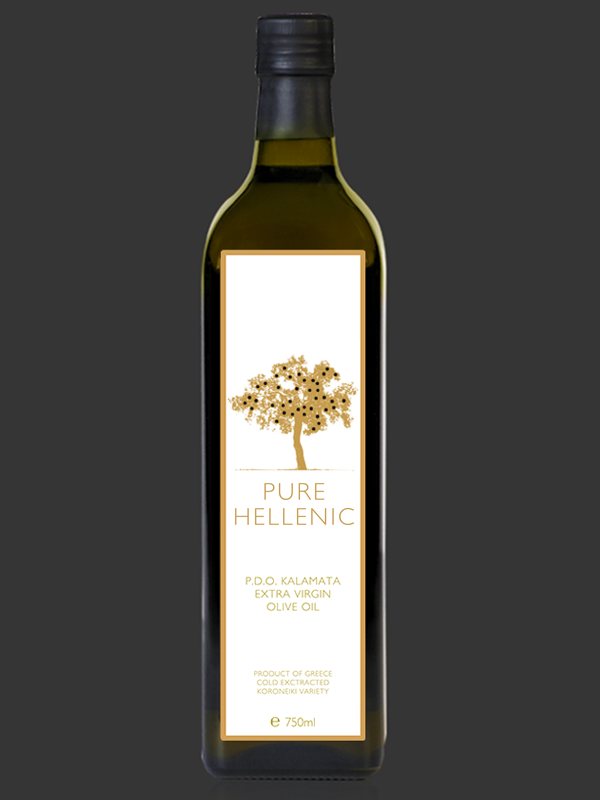 Pure Hellenic PDO Kalamata olive oil, produced in the geographical zone of the same name is an Extra Virgin revered for the aromas and flavors that characterize local olives. These special aromas and taste are the result of mild winters and cool summers of the Western Peloponnese. 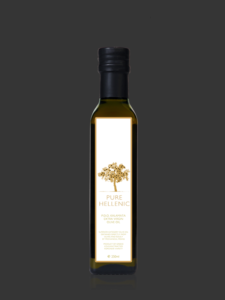 It is the Messinian bay breeze and the shadows of the legendary Mount Taygetus that shape the profile of this exceptional olive oil and bestow upon it strong herbaceous aromas. Pure Hellenic PDO Kalamata olive oil differentiates with its own label tag and is available from in packaging of 250ml, 500 ml and 750 ml glass bottles and 1lt can. 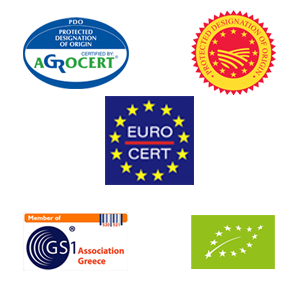 A variety that deserves to earn the prominent place in every home kitchen and on every market store shelf or restaurants, famous or “wanna be” famous for the excellent quality of food. 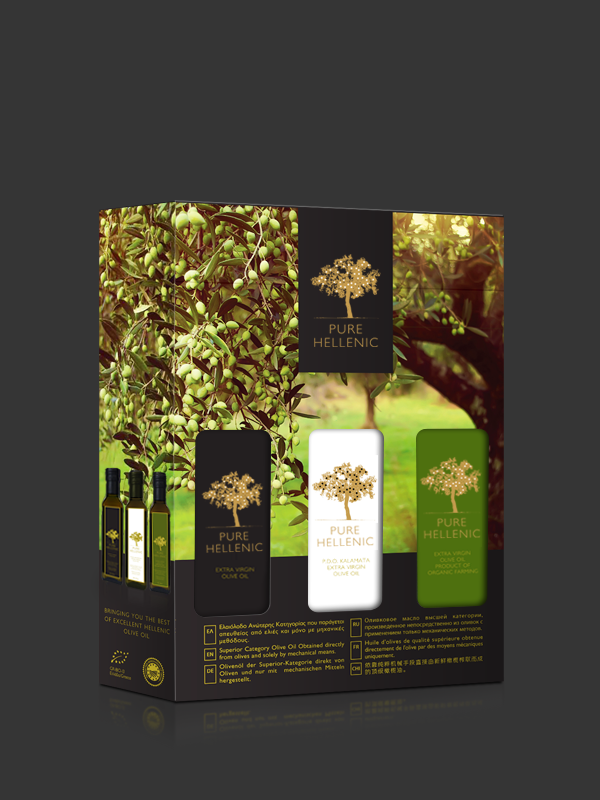 And now, PURE HELLENIC FOOD GIFTBOX, for an integrated tasty experience. Including 3 bottles 250ml of PURE HELLENIC Extra Virgin, PDO Kalamata Olive, it is a perfect choice for a pleasant surprise or a substantial gift for your friends or relatives. Available in glass bottles of 250ml, 500 ml, 750 ml and 1lt can. Click images to enlarge. 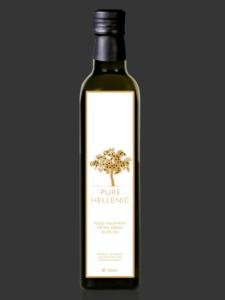 Welcome to Pure Hellenic Foods S.A.